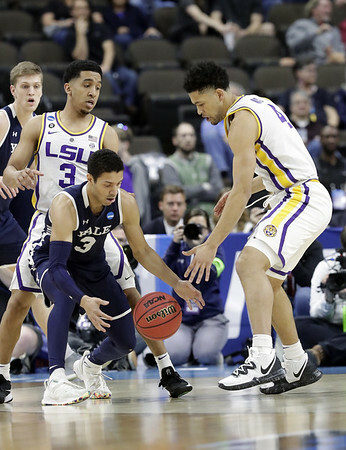 JACKSONVILLE, Fla. - As LSU's comfortable lead started to disappear, most of the crowd at Veterans Memorial Arena turned on the Tigers. Javonte Smart, whose name surfaced in reports of a wiretapped phone call that resulted in Wade's suspension, had nine points and six rebounds. School officials say Smart has fully cooperated in a “joint inquiry” with LSU and the NCAA. North Florida filled in as Yale's band. Donning navy blue T-shirts with “Yale” emblazoned across the front, the Ospreys’ pep band provided a musical accompaniment for the Bulldogs. Posted in Newington Town Crier, General Sports on Thursday, 21 March 2019 20:15. Updated: Thursday, 21 March 2019 20:17.